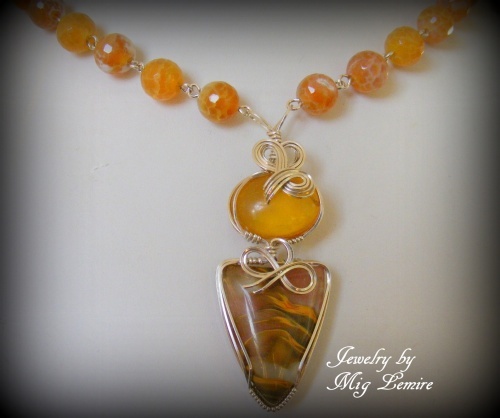 This high fashion necklace is made of fire agate beads and embelished with an amber piece acctuating a volcano quartz. The double pendant is truly one of a kind an its so elegant with its sterling silver curls. This is truly a very unique and original piece. Matches really good with any earthy color. Has a hook clasp and measures 19".